The Fornetto is a great patio oven from the Plants and Things USA gourmet outdoor cooking division. The Fornetto works great for outdoor cooking entertainment. 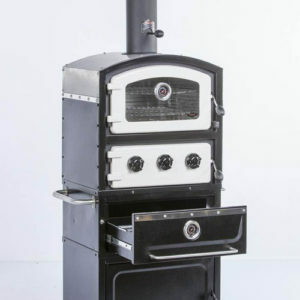 It is a wood fired artisan pizza oven and smoker. Made from stainless steel and enamel cast iron which gives the oven a rustic industrial feel. The food is fantastic coming off the Fornetto and do not be surprised when cooking becomes a passion. Enjoy the laughter and life stories that will come up while you create an atmosphere of relaxism. 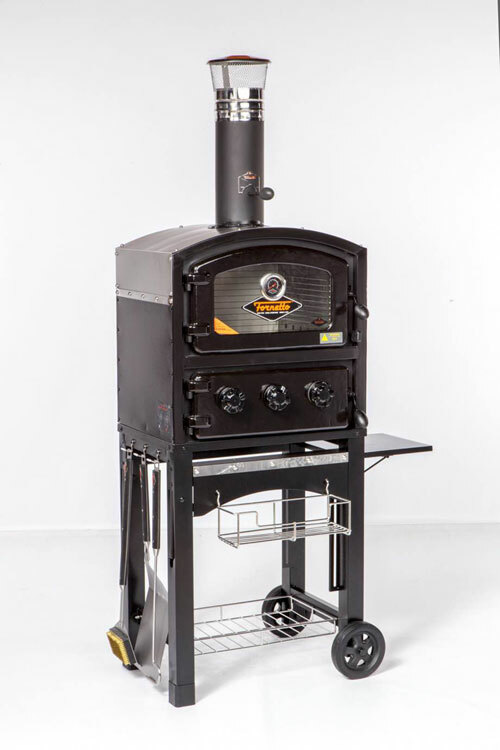 Make great pizza, fire roasted chicken and endless possbilities with this wood-fired oven and smoker. This oven will make your mouth water when you smell what comes out of it. Impress your guests while they are sitting on a comfortable set of our poly lumber furniture eating your home cooked dinner.